We had 2" of sleet Monday night into Tuesday morning of this week. Normally in central NC, whatever snow or ice we get disappears quick. In this case, the sleet was followed by 3 days of record low daytime highs and nighttime lows. The ice has been very slow to melt even in full sun, and then when it refreezes at night, driving the next morning is brutal all over again. It goes without saying that I have been feeding the birds and putting out fresh water several times a day. I take extra special care of our Bluebirds. On a regular day, I put out mealworms in the morning, and we see 4-5 bluebirds come and feed. This week, I have been putting out mealworms 3 times a day, and we saw a maximum count of 9 bluebirds at one time. What a sight that was!!! Even with that much supplemental feeding, they are still joining the other birds at my bird feeders to eat sunflower hearts. I have never seen a bluebird eat a sunflower seed before...EVER. That is just how frozen the ground is. They prefer insects and berries, but both are in short supply right now. 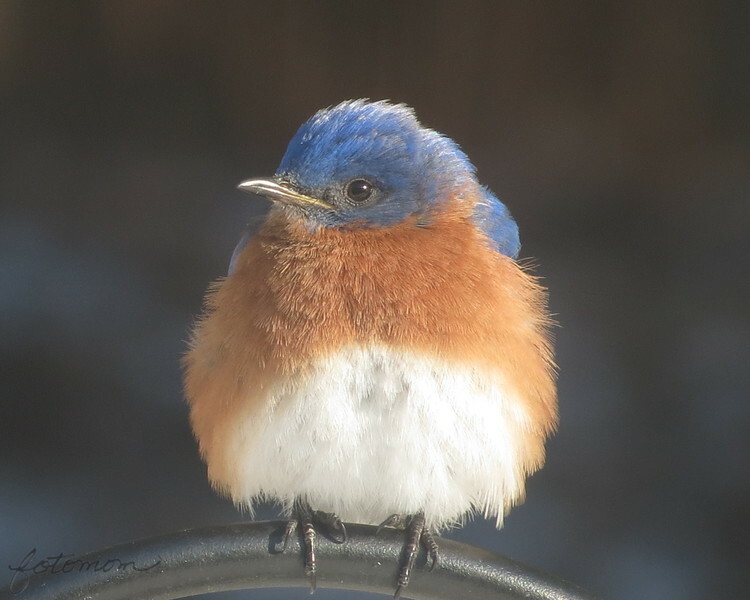 We look forward to the bluebirds nesting in the yard later this spring. I know they sell dried mealworms, but I tried them a few years ago because they are cheaper, and our Bluebirds would not touch them. Maybe they would eat them right now mixed in with the live worms because they are so desperate for food, but if you are trying to get Bluebirds to come and eat at your house, I recommend the live ones.